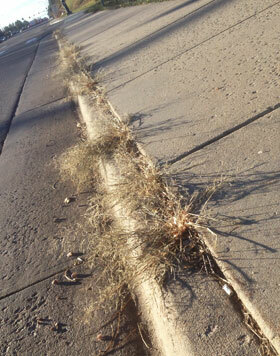 Not that I enjoy weedy sidewalks, but when you see something like this, doesn’t it give you a sort of amazement at the power of nature? Yes, hurricanes, earthquakes, and the like show how powerful the earth is. But even in slow, subtle ways, nature is constantly reclaiming her space on the planet. It doesn’t take long for a neglected sidewalk, parking lot, even building, to be taken over by flora and fauna, sort of thumbing their noses at how much control we think we have! GREAT observations, Deb. Nature (and God) are much more powerful than the little things we throw at them. The storm that recently hit NY/NJ is just another illustration of that.